Ultrasonic vibrations can create very thin droplets. During ultrasonic spraying, the droplet size and distribution can be precisely controlled so that very small droplets and particles can be vaporized.Thereby, particles with high surface area are produced. The ultrasonic spay and atomization is a successful technology e.g. to apply thin coatings of high performance and quality to a substrate. Due to the acurate control over all process parameters of the ultrasonic atomization, overspraying can be avoided and a precise droplet distribution is achieved. Another very potential application is the ultrasonic spray drying or freezing. The ultrasonic spraying technique is implemented in various industrial branches for manifold applications. Most common fields of ultrasonic nebulizing and atomization are the thin-film coating and the spray drying or spray freezing of particles. As an industrially proven technique, ultrasonic spraying is successfully implemented in production lines of high performance thin film coating during the manufacturing process of precision electronics such as semiconductors, precision devices, nanotechnology applications, fuel cells, and solar cells. 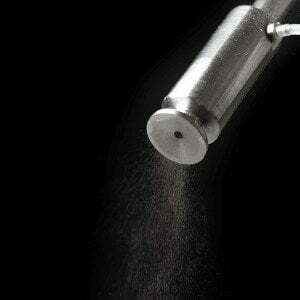 In the food industry, ultrasonic spraying is used to promote the spray freezing of powders, e.g. coffee, milk, whey and other powders. 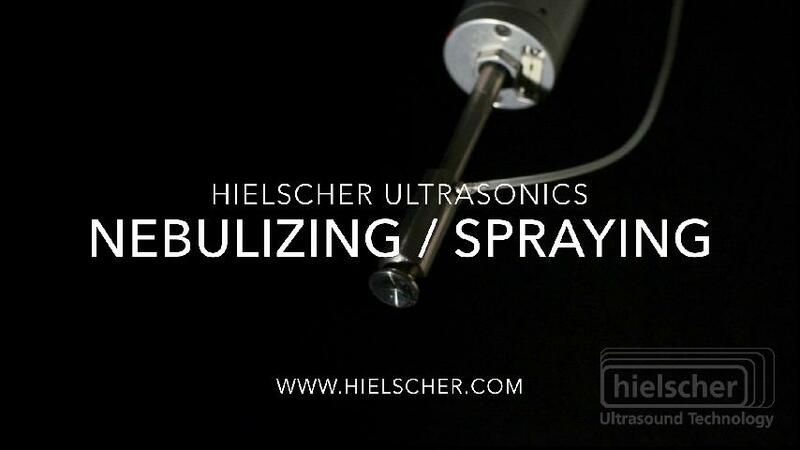 Hielscher Ultrasonics is your top supplier for ultrasonic atomizers and spraying nozzles. We provide standardized and customized solutions for optimal process results. Contact us today to learn how ultrasonic spraying and atomization can improve your process! Ultrasonic spray systems, also referred to as ultrasonic atomizers or ultrasonic spray nozzles, creates high oscillation and is thereby are able to produce extremely fine droplets, which is also known as “dry fog”. The advantages of ultrasonic atomization are the full control over droplet size, spraying intensity and droplet velocity. Industrial ultrasonic atomizers, which can be easily retro-fitted into existing manufacturing lines, allow for high throughput at stable quality output. 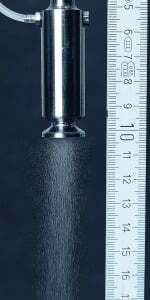 Ultrasonic spray drying is a very efficient and mild technique that allows for high throughputs. Due to its mildness, it is very effective for heat-sensitive materials. Furthermore, it promotes the processing capacity as it leads to a faster evaporation of aequeous liquids as well as solvents.